Customer satisfaction is key for companies seeking a competitive advantage. Reliable product delivery in the supply chain is a main factor in maintaining customer satisfaction, and logistics is an integral cog in the supply chain wheel. The 2016 20th Annual Third Party Logistics Study shows 3PLs and their customers are becoming more proficient at what they do, individually as well as together, which is improving the quality of their relationships. Seventy percent of those who use logistics services (shippers) and 85% of 3PL providers said that outsourcing logistics to a 3PL has contributed to overall cost reductions, while, 83% of shippers and 94% of 3PL providers said using a 3PL contributes to improved customer service. Relationships are central to the success of Third Party Logistics companies and their customers. 3PLs need to manage relationships with their direct customers as well as with vendors that have the assets to provide the needed services. Here are the roles that logistics plays in those relationships that affect customer satisfaction. Flexibility is an important element in keeping a logistics company’s clients satisfied, whether servicing on-demand delivery orders, scheduled deliveries or managing a daily delivery route. If your company's workflow or production suddenly changes your need for logistics, you will benefit from a partner with the resources to confidently deliver to added routes, service alternate hours, operate different vehicles, and do whatever is necessary to meet your adjusted demands. In the logistics industry, reliable delivery is extremely important. 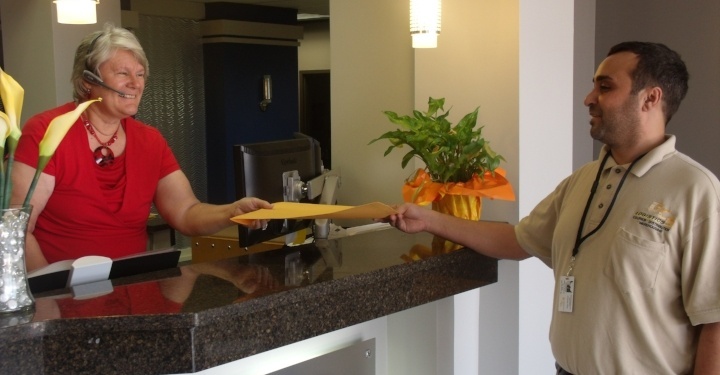 Clients will need to know when a delivery service company will pick up items or goods, how the transfer will be managed, how much time will be required for movement, and be assured that the item(s) will be handled with the utmost care. These tasks require impeccable communication as well as proper training and the ability to maneuver around unpredictable events that can affect timing. Strategies for optimizing communication between 3PL and shippers include customer access to 3PL administrative responses and real-time data and full visibility of the delivery process using advanced logistics technology. Readily available status updates fall under the umbrella of communication as well. Through real-time order tracking as well as a responsive customer relations team, clients can keep track of their deliveries from dock to door. State-of-the-art technology allows clients full visibility of their inventory in the warehouse. Logistics providers such as QCS offer warehouse space and fulfillment service for scheduled or on-demand delivery of stocked items. These services are especially relevant in the fields of medical supply delivery and manufacturing, in which unpredictable usage patterns can necessitate “off schedule" restocking and delivery. The courtesy given by associates when interacting with a customer can have a lasting impact. Each individual employee from driver to warehouse manager to dispatcher is a representative of the business, and quality customer service is paramount to remaining competitive within the third party logistics industry. QCS takes pride in the professionalism of its team members, who strive to please clients on each leg of the journey. Let us know how we can help you meet your logistics needs. Call 504-940-6262 or request a consultation to discuss how we can serve your customers, clients and stakeholders. Subscribe to our e-mail list to stay informed of the latest information, technology and service offerings available from QCS Logistics. Delivery Notes provides expertise, insights and latest trends impacting the customized logistics industry. Content is provided by QCS Logistics, a regional courier and customized delivery company operating in the Gulf South for over 30 years.